National pride and the right to self-rule are noble ideas, so if some Scots truly lack any sense of Britishness, it’s understandable (if unfortunate) that they might want to go it alone. For them, independence is not about economic viability; it’s about being in control of their own destiny. If this is the case, then the Yes lobby should be talking more about sovereignty as a virtue in its own right, rather than banging on about how the Scottish vision of a good society differs from that of the English. Scotland, we are told, wants to move away from the rapacious capitalism that has held sway in Britain since the days of the Thatcher Terror, and create a more caring, sharing society, complete with a cradle-to-grave welfare system. Apparently, the only thing standing in the way of this Caledonian Shangri-la is tight-fisted Sasanachs down south. This is the narrative being peddled to the Scots by Alex Salmond. He wants them to believe that Scottish woes are the result of English mistreatment, and views independence as a revolutionary cause that will liberate the nation from its age-old oppressor. Salmond may be promising tax cuts and economic growth, but only within a statist framework. Whether or not the Scots consider this workable may be irrelevant to their position on independence, but they should at least contemplate how it can be reconciled with a belief in self-determination and national pride. Socialism (let’s call it what it is) finds its legitimacy in the idea that the world is divided into the helpless and the heartless, with the Left’s caregivers protecting the former from the latter. Traditionally, the British Left has pegged English Tories as the heartless, and their values and institutions as instruments of oppression. The Scots, meanwhile, have enjoyed protected status as a helpless minority, whose patriotism and identity are important weapons against the evil southern hegemony. All this would change, however, if Scotland were to leave the Union. Without England to serve as the national punch bag, the Scots would lose their collective status as a persecuted social class. A new hierarchy of victims would emerge, to provide the Scottish elites with disadvantaged people to save and emote over. All those white, working class folk about to vote Yes would find themselves out-ranked on the sliding scale of victimhood by countless other put-upon groups. Anything that gets between the people and their statist overlords would be tossed on the progressive pyre. All those traditional symbols of Scottishness – the tartan and bagpipes stuff – would go the way of their English equivalents, and be treated as objects of ridicule and shame, unbecoming of a diverse 21st Century nation. And if Scotland isn’t diverse enough, then the government and a compliant media will exaggerate the size and significance of favoured groups, at the expense of the majority. If the Scots reckon that independence means being free to live as they please, they should think again. Soon enough, they will fall under the disapproving glare of the Big State’s health nannies, speech code mullahs, and environmental zealots. Unless they are on benefits or doing government make-work, they can expect to be branded enemies of the people, and punished with taxes and micro-regulation. 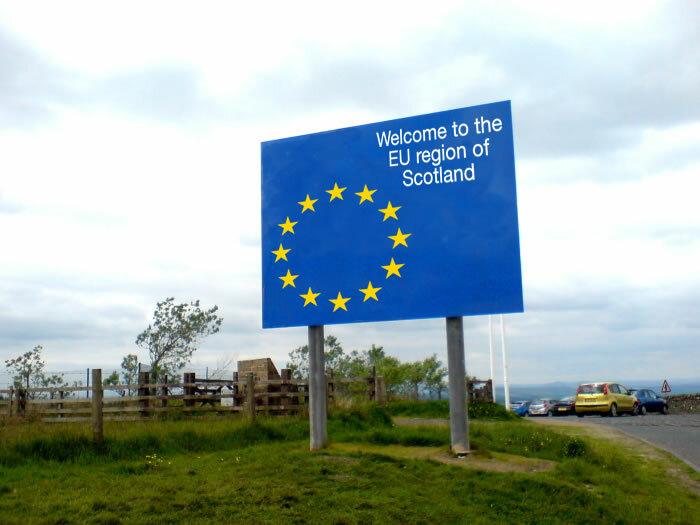 Once EU membership is secured, Scotland would be at the mercy of Brussels’ unaccountable Eurobots, and their reams of independence-unfriendly legislation. There is nothing in the history of socialism to suggest that an independent Scotland won’t become another grey, municipal dystopia, run by joyless year-zero types, who want to remake the nation in their own image. Its history and achievements would be buried under revisionist propaganda; its best people will be stigmatised; its freedoms will be sacrificed to the gods of equality. The very things that Scots imagine will be preserved will be ruined.